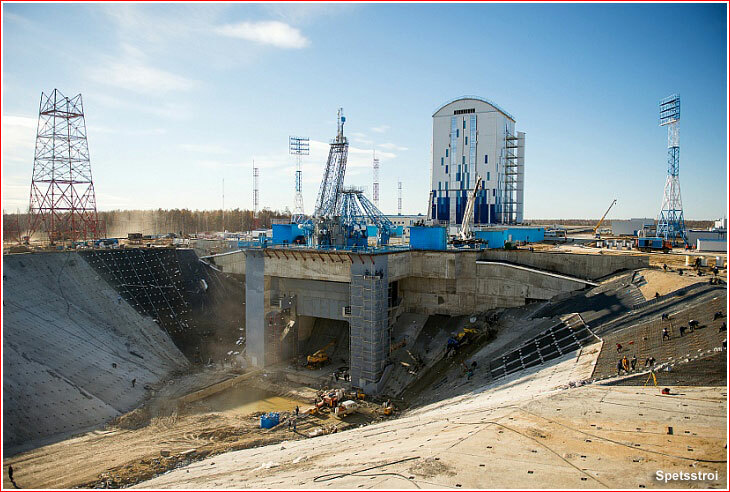 During 2015, the construction of the first launch pad at Russia's newest space center was scheduled to be completed to host the first launch of the Soyuz rocket before the end of the year. Given the enormous amount of already finished and yet-to-be completed work, as well as previous experience with similar projects, it would be a remarkable achievement for Russian workers and engineers. In the meantime, the Russian government and its well-trained press continued talking about "threats to the construction deadlines established by the president," like something irreversible would happen if these unrealistic expectations did not come true. 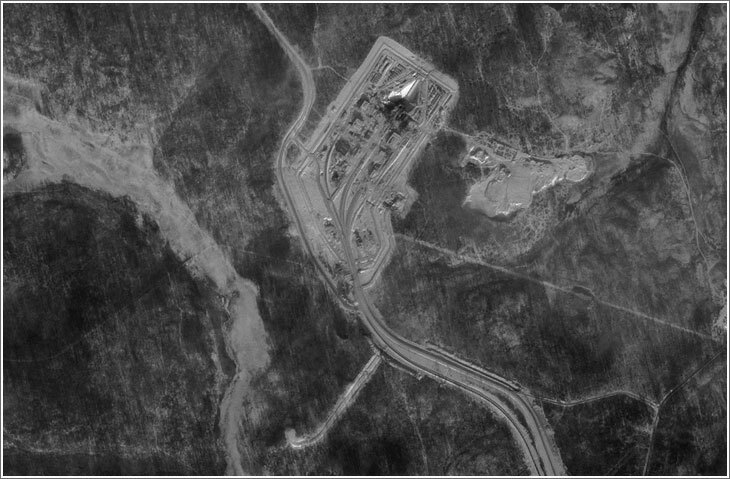 A satellite image of the Soyuz launch pad in Vostochny in January. In the first days of the year, as Siberian cold gripped the Russian Far East, workers removed scaffolding from the all-but-completed platform designed to host the first liftoff of the Soyuz rocket from the Vostochny Cosmodrome. The race was now on to install the metal structures of the launch pad and the myriad of systems supporting launch operations. The internal outfitting had actually started during 2014, however the bulk of this work would have to be completed in the first half of 2015. At the end of extremely cold January, big bosses from Moscow returned, including Deputy Prime Minister Dmitry Rogozin, the newly appointed Head of Roskosmos Igor Komarov and Deputy Director at Spetsstroi Aleksandr Mordovets. ("Problems" at Vostochny reportedly contributed to the Kremlin's decision to fire Oleg Ostapenko, the third head at Roskosmos in four years.) On January 30, in Uglegorsk, Rogozin chaired a meeting of the commission overseeing the project. Rogozin admitted that the construction remained behind schedule, but this time, he did not specify how severe this lag had been, while various unofficial estimates put the extent of delays from a month to six months. As usual, Rogozin demanded that work be completed by the deadline. Komarov called November 30 as the construction completion date. This milestone would clear the way for the first launch of the Soyuz rocket with the Lomonosov and Aist satellites in December, just before the symbolic deadline of 2015. In reality, the main payload for this mission was many years behind schedule and there was no real technical requirement to fly it from Vostochny. According to the Kommersant daily quoting Roskosmos sources, on the eve of losing his post of Roskosmos head on January 21, Oleg Ostapenko delivered a devastating report on the status of Vostochny to the Russian Prime Minister Dmitry Medvedev. The document reportedly said that some of the facilities at the center were severely behind schedule, for example, the fueling station for launch vehicles simply did not exist. Amazingly, on January 13, Spetsstroi announced a 2.9-billion-ruble tender for the construction of rocket propellant storage, which, according to the tender's documentation would have to be completed before the end of May! 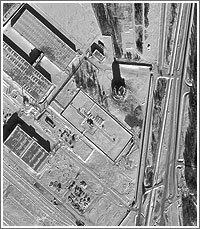 The five-building facility was to store highly flammable and some extremely toxic propellants, including RG-1 (known in Russia as naftil), T-1 kerosene, nitrogen tetroxide and unsymmetrical dimethyl hydrazine. Add to that the fact that according to the same report quoted by the Kommersant, the installation of the fire-suppression system, the system for collection of toxic vapors and industrial waste scheduled from October to December 2014 had never taken place. In the meantime, various sensitive systems, which arrived to Vostochny for installation into unfinished facilities, were rusting inside their containers along railway sidings. Obviously, without enough qualified personnel at the remote construction site, Spetsstroi had little choice but to focus on facilities with the highest profile for visiting Moscow officials. Moreover, the work had to be done in a great haste, increasing the chances for mistakes and leading to a low quality of construction. In an unusual step, the Russian government organized 200-strong "winter student brigade" to provide low-skilled labor in Vostochny beginning on February 1, even though normally such groups would only be available during summer. Official press releases did not elaborate whether members of the brigade would have to skip a semester. As many as 1,200 students were promised in Vostochny during the summer of 2015, Roskosmos said. On January 31, the government's auditor, Schetnaya Palata, announced that the price tag for the Vostochny development had been exceeded by more than 13.2 billion rubles (or by 20 percent) and the results of the audit exposing misuse of the funds had been given to the Investigative Committee. The announcement could probably serve as a warning to the project officials on the consequences of failing to meet the deadlines. The audit itself was apparently requested by Roskosmos, which had been involved in protracted bickering with Spetsstroi over the costs. In response, the construction agency accused Roskosmos of dragging its feet on delivering necessary blueprints and specifications for the facilities, leading to delays and cost overruns. 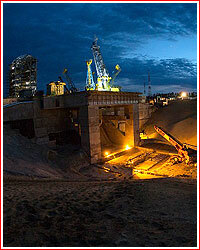 In mid-February, workers started assembling an access platform below the surface of the Soyuz launch pad. The movable structure was designed to enable servicing of the lower section of the Soyuz rocket after it had been erected onto the launch pad. The platform is designed to roll along two galleries on the sides of the complex into a special niche below the pad shortly before liftoff. The access platform was one of the first metal structures of the launch complex to be assembled at the site, not counting the Mobile Service Tower, MBO, which was also raising right next to the launch pad. Seven levels of the MBO were completed at the beginning of February, as evidenced by available photos at the time. 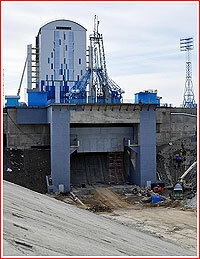 Launch pad for the Soyuz rocket in February. In 2015, the budget was expected to be 28.8 billion but was cut to 25.9 billion. As of April, the head of Spetsstroi Aleksandr Volosov estimated the completion of the project at 80 percent and promised to finish it on time by November 30. However, the construction of the Soyuz launch complex was four months behind schedule and the processing complex was two months behind. At the same time, the fueling station was a month behind schedule with "a tendency to increase" and a command post was two months behind, the head or Roskosmos told the official Russian press. As usual, Rogozin again cited efforts to get 12 or 14 facilities of the "launch minimum" back in schedule for the first Soyuz liftoff in December 2015. At the same time, he made a clearly mutually exclusive demands not to install sensitive hardware inside unfinished facilities and avoid future repairs of hastily constructed infrastructure. TASS also quoted other "measures" by Rogozin, such as the "decision" to conduct monthly teleconferences on the status of the project and to involve the newly built center of national defense into the management of the project. This all increasingly looked like empty demagoguery, especially after new reports had surfaced that the workers at Vostochny had not been paid for months. On March 24, large group of workers declared a strike. On April 2, workers of Stroyindustria-S Company announced their threat to begin a hunger strike within 24 hours via the Moscow radio show Govorit Moskva. According to one worker, they arrived to the site in November 2014 and continued working until March 24. The worker also described appalling conditions at the site, including lack of basic necessities, such as soap and toilet paper and poor food supplies. Some workers were even lacking gloves in minus 40-degree weather. Other workers were quoted as saying that the food they had been provided was "worthless." The particular unit counted 150 people and 56 of them would not get money for more than two months. Some of the workers, who came from other parts of Russia, could not pay their way back home. Roskosmos previously promised to deliver 14 million rubles owed for salaries to 214 workers of the Stroyindustria-S, however 100,000 rubles was disbursed by April 1, while only this particular unit was owed 130,000 rubles for two months. When the fact of non-payments was no longer possible to ignore, the Russian press switched to a damage-control mode, advertising all the surprise and indignation of high officials at "suddenly discovered" abuses and promises to compensate workers. Even Putin got involved during his annual press-conference, promising to fix the situation in a teleconference with a group of workers lined up before official TV cameras. The Russian press blamed the corruption and mismanagement as the cause of the problem. Some local managers were reported arrested or fired as a result. The 500-member Pacific Motor-Building Company, TMK, was disbanded and its workers transferred to Spetsstroi. Before the end of April, three top officials at TMK, Stroyindustria-S and Dalspetsstroi were arrested during pending corruption investigations. In addition, the Russian government reportedly decided to advance as much as 85 percent of funds to contractors at the start of each contract, according to Spetsstroi. In turn, Spetsstroi was reported advancing 19 million rubles on April 24 as a loan to immediately cover the owed money. It was disbursed through the Federal Finance Agency in the Khabarovsk Region to avoid further stealing! After all was said and done, Roskosmos announced that Vostochny would require extra 22 billion rubles to complete 11 critical facilities required for the first launch of the Soyuz rocket. At the processing facilities, workers installed 900 meters of the rail lines, including 450 meters at the rocket stage storage facility. 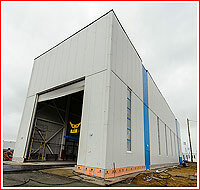 Rails were also installed inside the launch vehicle processing building, MIK RN. The work was initially conducted by ZAO TMK company, however the scandal with non-payments to workers, forced Spetsstroi to send its Southern Branch team to meet the deadline, the company said. By the end of the month, the processing complex was finally linked to the main rail arteries, opening doors to the delivery of heavy equipment. 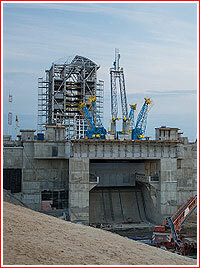 By the end of the month, Spetsstroi estimated readiness of the facility at 75.5 percent. The organization estimated the overall workforce at the center at 7,188 people and promised 2,500 extra workers in the near future, which would than be switched to the construction of the Angara pad. On the launch pad, the readiness was estimated at 85 percent, with 59 facilities available for outfitting. Around 30 percent of equipment had been installed. 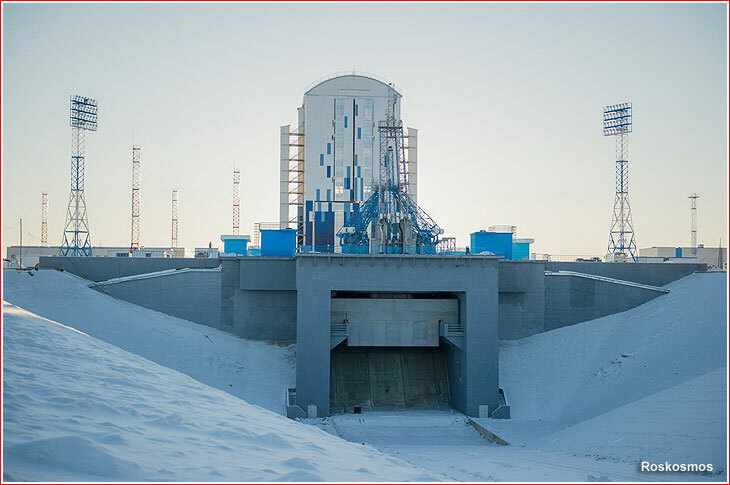 Engineers from Roskosmos contractor TsSENKI-NIISK completed electric work at the lower service structure designed for access to the base of the rocket and planned to start its testing. Workers almost completed three main fueling sections of the launch pad: the pressurized gases facility, oxygen and nitrogen facility and kerosene and naftil station. In the residential area, one building was in process of outfitting and three were approaching the structural completion, with first apartments scheduled to be ready for their occupants on July 1. 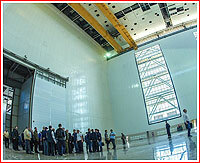 On April 16, TsSKB Progress conducted a meeting of Chief Designer Council, which set the delivery of the first Soyuz-2-1v rocket to Vostochny at the beginning of June. 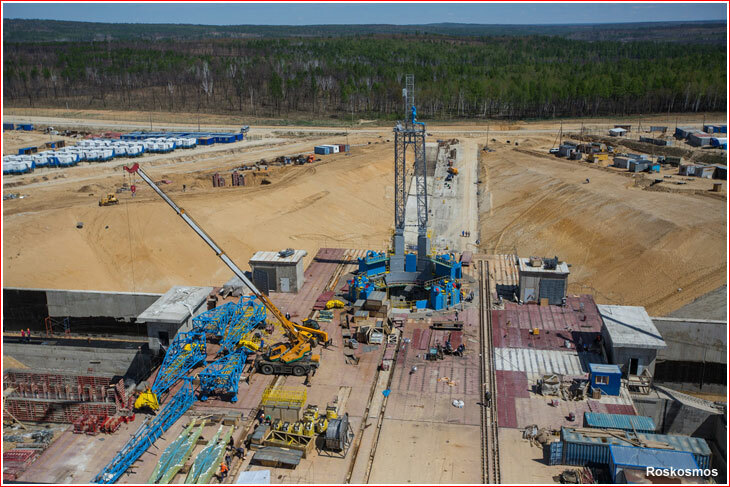 During his visit to the site on April 27, Deputy Prime Minister, Dmitry Rogozin claimed that the most critical phase of construction was passed and the project would catch up with the schedule. In a major political development around the space center, Russian space officials finally convinced the Kremlin to abandon the idea of launching manned Soyuz spacecraft from Vostochny. 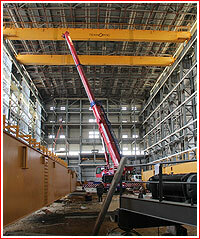 In May, workers conducted installation of two main bridge cranes inside the launch vehicle assembly building. Due to their enormous size, they had to be first assembled into four 74-ton sections, after which, they were transported by rail into the assembly building. Three auto-cranes were then used to lift them into the position. In parallel, 235 workers were working in two shifts to finish outfitting of three out of seven floors of the spacecraft processing building. 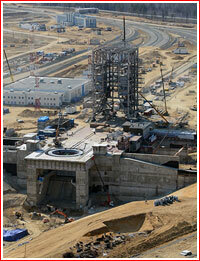 At the Soyuz pad, workers were building a 140-meter long rail path for the movable service tower. 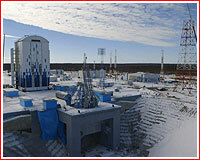 Spetstroi also reported the completion of eight 50-meter and three 18-meter lightning towers around the pad. 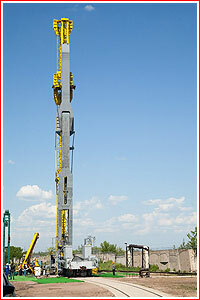 Foundations for two 150-meter lightning towers were also completed, the company said. 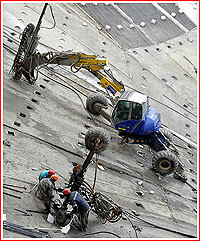 They required 450 cubic meters of concrete. 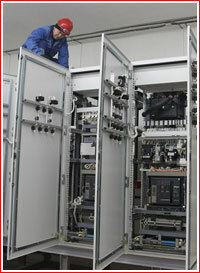 On April 21, RKTs Progress shipped its Soyuz rocket launch hardware to Vostochny, which included ground cable network for the cable and fueling gantry, KZM, and the upper cable gantry, VKM, as well as command bunker equipment. 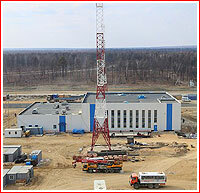 It reached Vostochny on May 12. 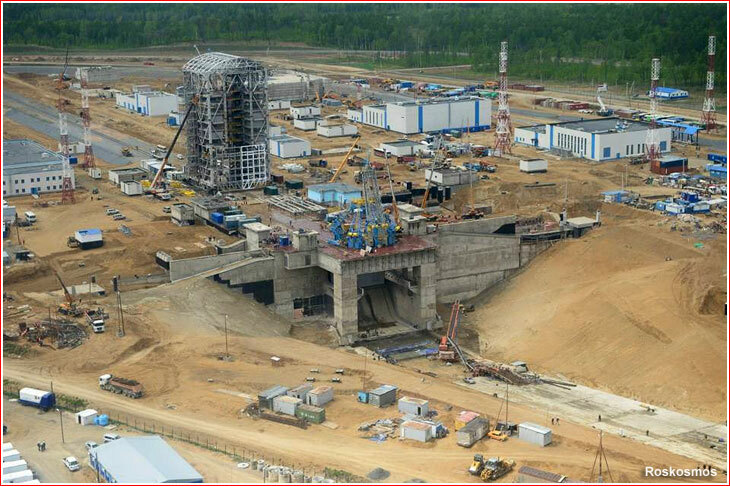 In total, the company planned to ship 63 various systems to Vostochny, including 23 for the launch complex by the end of May or beginning of June. 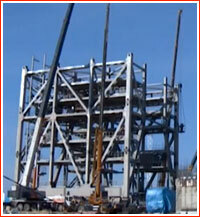 On May 28, Tyazhmazh completed testing of the transporter/erector for the Soyuz rocket at its facility in Syzran. Spetsstroitekhnologii started building a meteorological complex, which like many other facilities, had to be finished before the end of the year. 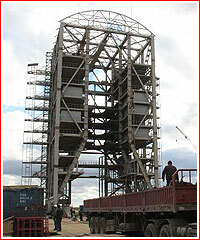 By June 9, workers installed and tested the metal lattice structure on the Soyuz launch pad designed to hold and release the rocket during the liftoff. According to Roskosmos, this critical milestone was achieved a month ahead of schedule. The fueling and umbilical gantry was installed by June 10. However because of delays with the construction of the permanent electric grid, the power for tests had to be supplied via a make-shift lines. Just below the pad's surface, workers were also checking the systems of the lower service structure and further below they were pouring concrete onto the surface of the giant flame trench. This effort went on without breaks for the night. The concrete work started on the side of the facility where the spring thaw apparently threatened to erode the slopes of the pit, washing away much of the gravel cover. 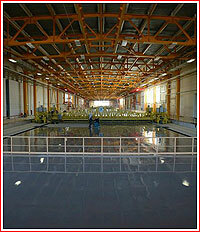 Spetsstroi also promised to complete the construction of the Fueling and Neutralization Station, ZNS, in June. In three months of a two-shift effort, Spetsstroi erected a three-story building and made parts of it available for the installation of equipment, which was conducted by engineers from the TsENKI launch hardware center, the agency said on June 8. 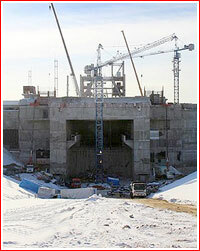 Climate-control airlocks were also under construction and first two main floors were undergoing the final construction work. By June 11, workers also completed the 1.5-kilometer rail line connecting the processing complex with the launch pad, Spetsstroi said. Roskosmos was also inching closer to starting the construction of a long-delayed airport in Vostochny, the head of the agency said. On July 24, the yet-to-be-completed Mobile Service Structure was powered up for the first time and made a 20-meter test run along its rail tracks. On July 26, the structure made a completed 100-meter trek from its parking spot to its operational position covering the launch pad. The move was repeated several times. Following a geodesic survey on July 27, the tower would be precisely positioned over the pad. 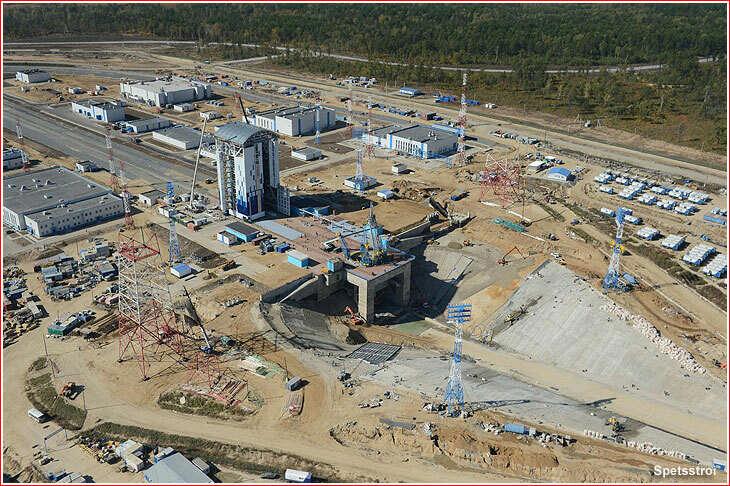 Soyuz launch pad in Vostochny at the end of August or beginning of September 2015. On August 5, Spetstroi indicated that the completion of propellant storage facility, stage impact sites, recycling of the construction debris and solid waste as well as a number of other facilities was postponed by Roskosmos until 2016. Spetsstroi quoted the lack of approval from the State Expertise as one of the reasons for delays. 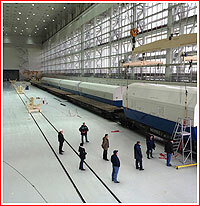 At the same time, Spetsstroi reported the completion of the 4.4-kilometer railway linking the Soyuz launch pad with the main processing facility. 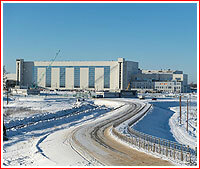 Spetstroi also said that the main rocket and spacecraft processing facility had reached the final stage of construction and its personnel was working in two shifts to install air-conditioning, ventilation and other systems in the interior of the buildings. The administrative and production section of the facility was equipped with a fire-suppression system, which cleared the way to their final outfitting and three of the floors had been already outfitted with office furniture, Spetsstroi said on August 5. 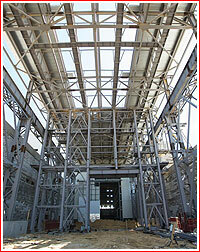 The first "occupant" of the main hallway was the transporter-erector for the delivery of the Soyuz rocket to the pad. The three-car train, which also included an extension platform and a thermal-control car, was assembled at the technical complex by August 24. On the same day, Roskosmos said that its personnel completed installation of assembly hardware in the launch vehicle assembly building. 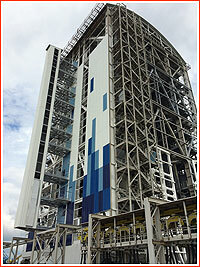 At the same time, 29 systems were under installation on the Soyuz launch pad and 12 of them were ready for testing. Five systems, including Launch System, Cable and Fueling Gantry, Upper Cable and Fueling Gantry, Assured Power-supply System, the Service Cabin were completed and were ready for autonomous tests, Roskosmos said. Eight 50-meter and three 18-meter lightning towers were completed. 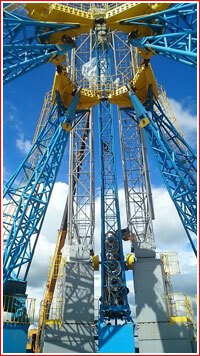 However a pair of largest 150-meter towers was still under construction. 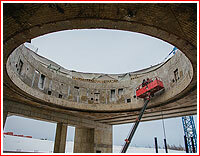 Spetsstroi also announced the completion of the four floodlight towers. Also on the pad, workers installed elevators into the Mobile Service Tower, MBO, and conducting wall paneling and roofing. The total workforce at the time was quoted at more than 8,000 people. In August, the residential area seemingly became the weakest link of Vostochny. Due to lack of housing for civilian specialists, the Russian military was rumored forming its own launch crew, which would be expected to prepare the symbolic first mission from Vostochny out of make-shift trailers or even tents in the middle of Siberian winter! During the night from 20th to 21th of August, right on the eve of a visit to the center by the Prime Minister Dmitry Medvedev, a fire broke out in the assembly complex. The official Russian media obviously did not report the incident, but one of the workers posted a video of the fire online and reported that it had been caused by an electric short circuit. Soyuz launch pad in Vostochny in September 2015. On September 15, Deputy Prime Minister Dmitry Rogozin returned to Vostochny with another inspection. Once again, TV footage and images released during the trip showed steady progress at all major facilities, particularly at the residential area of the site, with four new apartment blocks in the final stages of construction. According to the local daily, Amurskaya Pravda, the launch personnel at the new site had reached 200 people out of 800 strong force expected by the end of the year. Still, the mega-project was slightly behind the arbitrary deadlines imposed by Moscow. The Interfax news agency quoted the head of the Russian space agency, Roskosmos, Igor Komarov, as saying that the technical facilities of the center had still lacked permanent power supply, water and heating. Komarov admitted that the overall work still lagged behind schedule. Peculiarly, this time, the Russian press was seemingly given signals to prepare ground for the government to get out of the political trap it put itself into. The Rossiya TV channel reported that the launch date for the inaugural mission from Vostochny has not been yet determined and the Russian space agency, Roskosmos, would not commit to the liftoff until everything had been ready. "Roskosmos is waiting for the beginning of integrated tests of the launch site hardware," Rogozin wrote at the end of the trip, "We demand from Spetsstroi (military construction company) to complete their work." Again, Rogozin made no mention of the December 25, 2015, launch date, even though it had previously been re-confirmed on an almost monthly basis during the past year. The first rocket was reported arriving at the Uglegorsk train station, the main railway hub at Vostochny, on Sept. 24, 2015, however it would remain on the railway siding because processing building for the rocket had not been made ready to receive it. On September 29, Spetsstroi announced that the Soyuz launch pad was powered up for the first time from a permanent source of energy. Soyuz launch pad in Vostochny in October 2015. 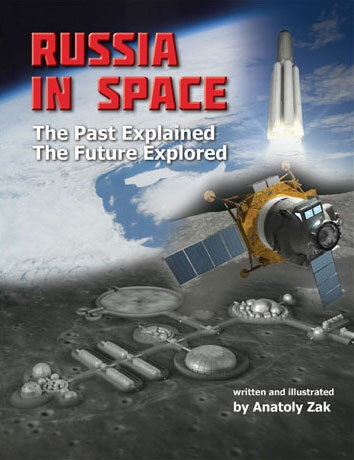 During a visit of the Russian president Vladimir Putin to Vostochny on October 14, the Kremlin finally announced that the first launch from the new space center would not be possible in 2015. After several years of rush with construction, Putin admitted that space technology was not the field where speed-racing and super-human efforts would be appropriate. "We don't need victorious chants, we need good pace and quality results," Putin said during a televised meeting at the site, no doubt to the huge relief of the management in the beleaguered and corruption-ridden project. 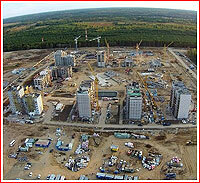 According to Deputy Prime Minister Dmitry Rogozin, a total of 20 criminal cases related to Vostochny were underway. In addition, around 1,300 administrative cases of payment schedule violations were under review by the Labor Ministry, Rostrud. According to Putin, the development of Vostochny was on average four months behind schedule, comparing to a previous eight-month lag. Rogozin reported that based on the (recent) construction experience with Soyuz pads in Plesetsk and in Kourou, autonomous tests of systems at the launch facility would require 40 days and integrated tests would take additional 120 days, making a total of around 5.5 months. 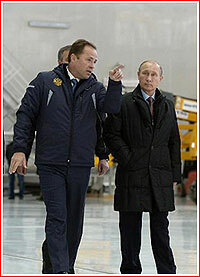 The preparations could be further hampered by severe cold at the end of December, Rogozin warned. As a result, the components of the first Soyuz-2 rocket, which were rolled into its nearly empty processing building on October 9, were expected to remain in their containers for several months. However, the internal crane of the building was used for the first time to unload the containers from their railway platforms. On October 21, Spetsstroi reported the completion of the centralized automated system for the control of water and gas supply, heating, air conditioning and sewer systems at the processing complex of the space center. The lack of climate control and power supply inside the processing building was one of the stumbling blocks on the way to the first launch. According to the Izvestiya daily, the construction schedule approved on August 21 by the Prime Minister Dmitry Medvedev during his visit to the site required to power up the facility by September 15. 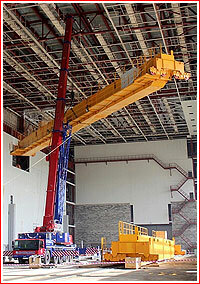 In turn, Spetsstroi claimed that heating system of the processing complex had been ready for the winter season officially starting on October 15, while clean room environment inside the buildings had not been possible to maintain due to the need to move in all the internal processing hardware by Roskosmos contractors. 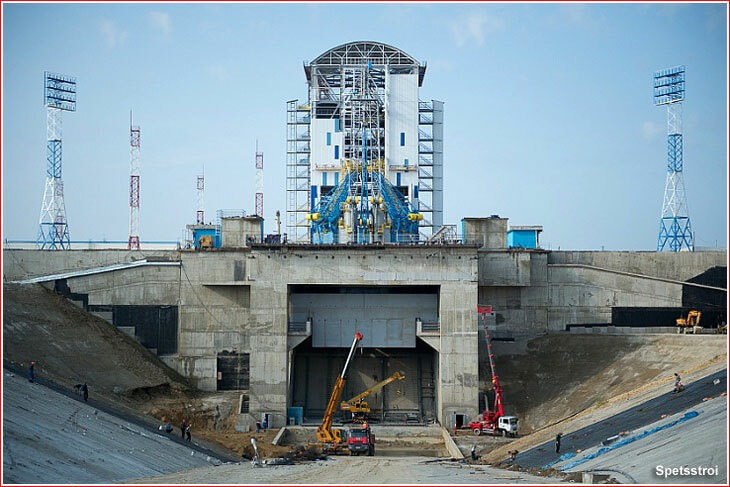 By the end of October, Spetsstroi also promised to complete concrete works on the giant flame trench of the Soyuz launch complex, which required 10,300 cubic meters of concrete and 900 tons of iron reinforcement bars. Also, the first of several telephone stations was activated inside the spacecraft processing building, Spetsstroi announced at the end of the month. Soyuz launch pad in Vostochny in November 2015. 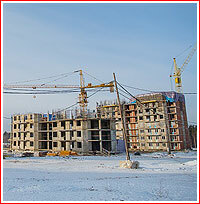 A real winter came to Vostochny in the first half of November with temperatures dropping to minus 25C degrees. 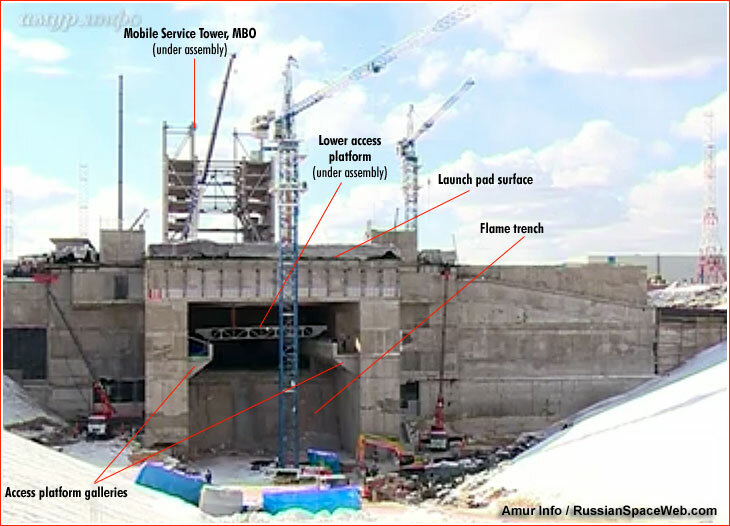 Fortunately, the construction at the Soyuz launch pad was finally completed with the last concrete poured into the surface of the flame duct by November 17. By mid-December, the main propellant depot at the Soyuz launch complex received its first shipment of cryogenic liquid nitrogen, allowing initial trials of the fueling process. Other systems were also undergoing autonomous tests. On December 16, Spetsstroi promised to conclude all autonomous tests at the launch complex by the end of 2015, which would be followed by the delivery of the Soyuz-2 rocket to the pad on January 18, 2016, for integrated tests. Around the same time, various checks at the processing complex were entering their final phase, Spetsstroi said. The facilities which would be used to test launch vehicles and spacecraft got their first loads of nitrogen, helium and compressed air. 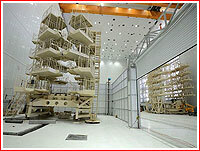 Inside the spacecraft processing building, workers assembled the special work sites which would be used to prepare and test satellites, as well as Volga and Fregat upper stages, prior to their integration with Soyuz-2-1v and Soyuz-2 launch vehicles respectively. The building was also equipped with its own Intranet. However as late as November, key facilities were still receiving electricity via temporary power lines, unofficial sources said. On December 24, the head of RKTs Progress Aleksandr Kirilin told TASS that the current schedule called for the first launch of the Soyuz rocket from Vostochny on April 25, 2016. 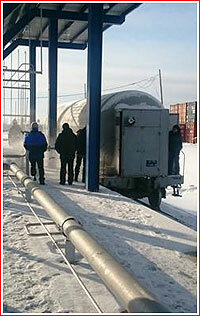 The payloads for the mission were to be delivered to Vostochny on January 20. During his year-end press-conference on December 17, Russian president Vladimir Putin expressed hope that the space center would be ready in the first quarter of 2016, however he stressed that there was no need to rush with the completion of the project and that the quality (of the construction) was more important. The lag in schedule had been reduced from as long as 1.5 years to between four and six months, Putin said. 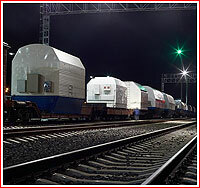 However, an unofficial posting on Russian social media by a local witness claimed that there was no chance for the first launch in April, because all additional funds disbursed by the Kremlin for the project had already been spent or stolen, while most expensive hardware needed for the completion, including some to be imported from China, was yet to be delivered. Such reports were backdroped by continuous publications in the Russian press about corruption and waste plaguing the project. Even the official TASS joined in, disclosing that Spetsstroi had spent a part of the federal funds allocated for the spaceport to develop commercial real estate in the nearby city of Khabarovsk. The Russian Deputy Prime-Minister Dmitry Rogozin vowed to sell these residential properties and return at least part of the money into the budget. Following his previous trip on November 2, Rogozin is to re-visit the space center again on December 29. 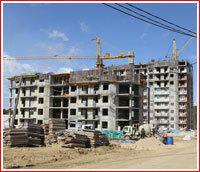 He plans to inspect first four new apartment blocks at the residential area of Vostochny. According to the local news agency, Amur-Info, the first 84-flat building was finally completed at the end of November and three more were in final stages of construction. Combined, the new district could accommodate around 300 families of arriving specialists. These numbers were far below previously proclaimed plans to complete 12 buildings in 2015 and nine more in 2016. 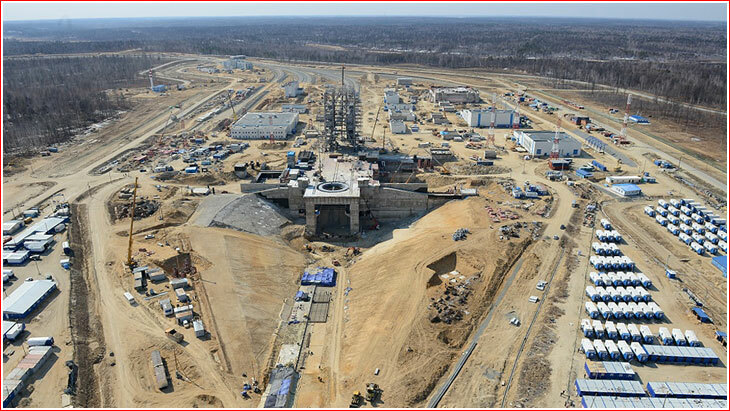 Rogozin also promised to begin the construction of the second launch pad in Vostochny for the Angara rocket, immediately upon the completion of design and budgetary documentation for the facility.